This romantic and charming farmhouse is located near the medieval village of Montaione. Far away you can see the sea, the peaks of the Apuan Alps, the hills of Chianti Classico, olive groves and vineyards. After careful restoration, there are now seven apartments. 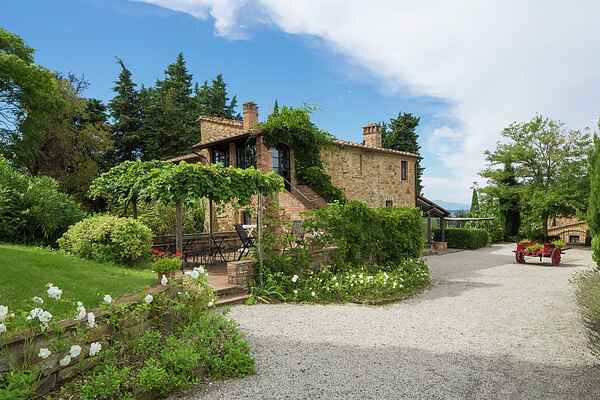 Decorated in the traditional Tuscan style and the garden are roses and aromatic plants. The pristine natural environment offers opportunities for hiking, tennis, horseback riding, and mountain biking. Thanks to its location between Florence, Siena and Pisa, it is an ideal base for excursions throughout Tuscany.